“What shall we do today?” A question that’s not always easy to answer, so here’s four cool outdoor spots and things to do in and around Cologne. The skate park at Rheinauhafen is one of the trendiest skate spots in Germany. At over 2000 square metres it offers skaters plenty of room. Surrounded by modern architecture and a great view over the Rhine, they can skate here to their hearts’ content until late into the evening – the park’s illuminated after dark. It’s a regular venue for skate contests, which are almost as much fun for the audience as they are for entrants. Admission is free and skaters use the park at their own risk. 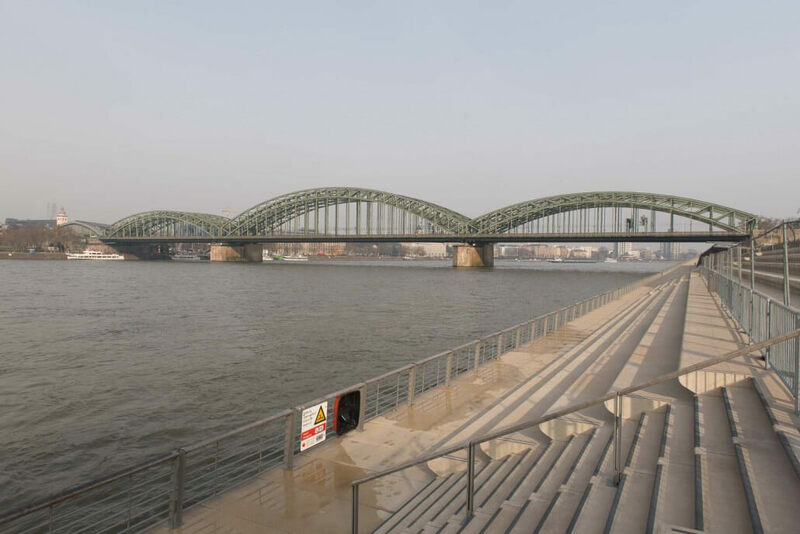 Within a few days of the grand opening in the summer of 2015, the expansive steps along the Rheinboulevard had become THE place to hang out in the city. Offering an incredible view of the Cathedral and the river, this is a great, urban yet idyllic place to while away the hours with a book, chatting with friends, or simply catching up on one’s suntan. If you’re heading over to spend some time on this 500 m riverside stretch, it’s best to plan ahead: there’s no catering options directly on site. So best pack a picnic basket, a blanket and cushions (the steps cool down in the evening) and an extra plastic bag for any rubbish, then you’ll be all set. 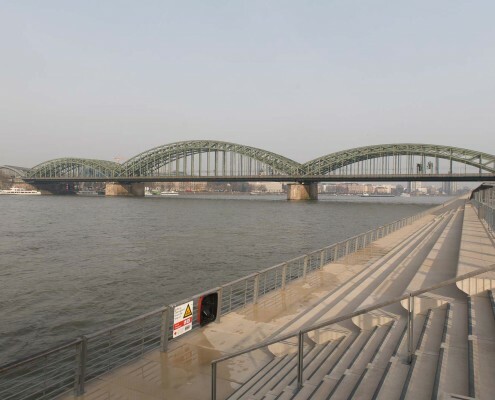 And if you get really peckish, head to one of the cafés and restaurants up and down the Rhine. Stunts, tricks, cool jumps – in late 2015, this slightly decrepit roller sports rink in Takufeld in Neuehrenfeld was given a thorough facelift. Today it’s a start-of-the-art urban playground for BMX riders and skateboarders. Still known under its previous pet name “Salad Bowl”, the over 1000 square metre park now has a hand-smoothed concrete surface that’s publicly accessible and free for all to use. And again, if you’re not keen on actively using it yourself – watching is fun too! Hiking’s very trendy right now and is a great way to explore the city or discover new and unfamiliar quarters. You don’t even have to go beyond city limits to find a good trail. 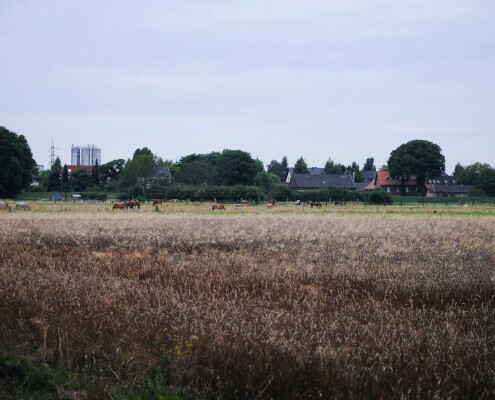 Simply choose from one of the eleven sections of the KÖLNPFAD trail, which guides walkers along the 171 km hiking paths in and around Cologne. The trails, each with a distinctive character, cross parkland, forests, the city’s green belt or “Grüngürtel” and the floodplains along the Rhine. 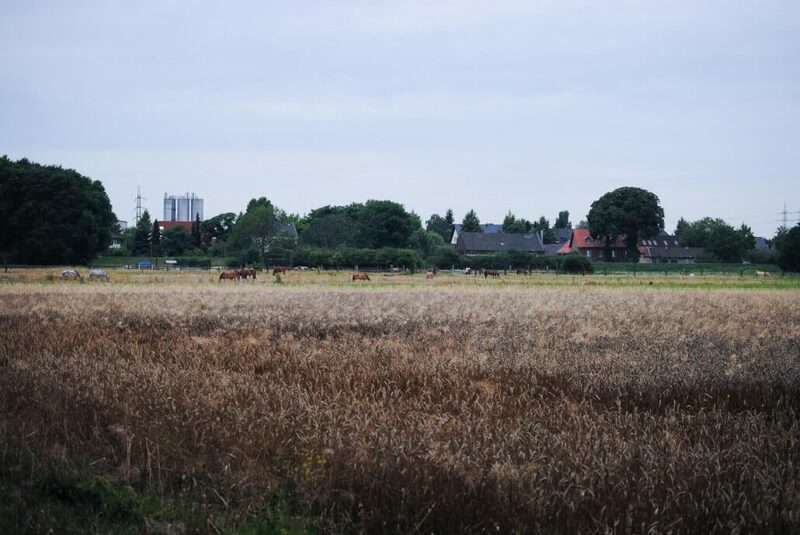 They lead to the port in Niehl, to Königsforst forest east of the city, and the heathlands of Wahner Heide. Monuments, fortresses, small palaces and sculpture parks line the trails, so urban Cologne is never far away. All trails are between 9 and 22 km long and are very easily accessible by public transport. For details, check the website of the Cologne chapter of the Eifelverein, a hiking association.